Today i made my first qso on 23cm. The setup in my end, TS2000 connected to 1296MMT transverter putting 2 smal watts inn to a 23cm biquad antenna, the antenna was sitting in the basement window pointing towards LA3EQ in JO28xj 76km away. QSO was carried out on the mode jt6m. I heard la3eq realy good when we got the antennas lined up… but he did not hear me. After a while 3eq figured out the problem (bad solder in preamp) and then we were able to hear itch other and I got my first qso ever above the 70cm band. 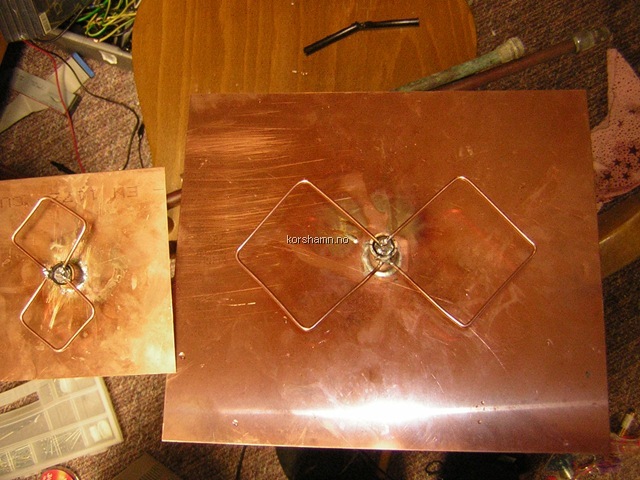 I’ve been industrious in the shack, making my self some antennas. First up was a 13cm and later I made a 23cm. 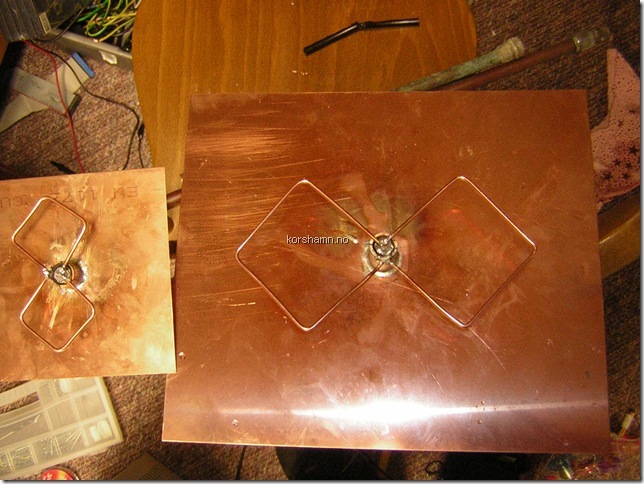 The Copper sheets I got from the local tinman, and he cut them to my needs, the piping I found in my clutter box. How do I get ISCAT mode to be accepted by LOTW ? 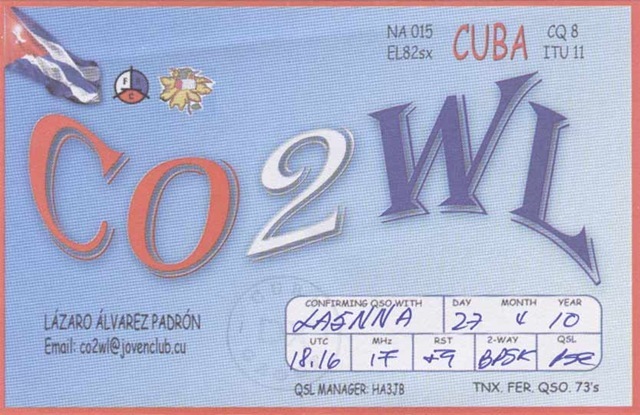 Endelig fikk jeg papir qsl kort fra cuba, 1 oktober 2010 dagen hummer fisket begynner, kom kortet fra CO2WL. QSO’n hadde vi 27-04 2010 18:12 PSK31. 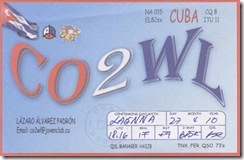 Jeg har lenge hatt Cuba bekreftet via LOTW men manglet papir kortet fra dette landet.